Come celebrate with us for supplying the market with quality USA Made custom skateboards at the lowest price in the market. We invest in manufacturing technology so you can save big. 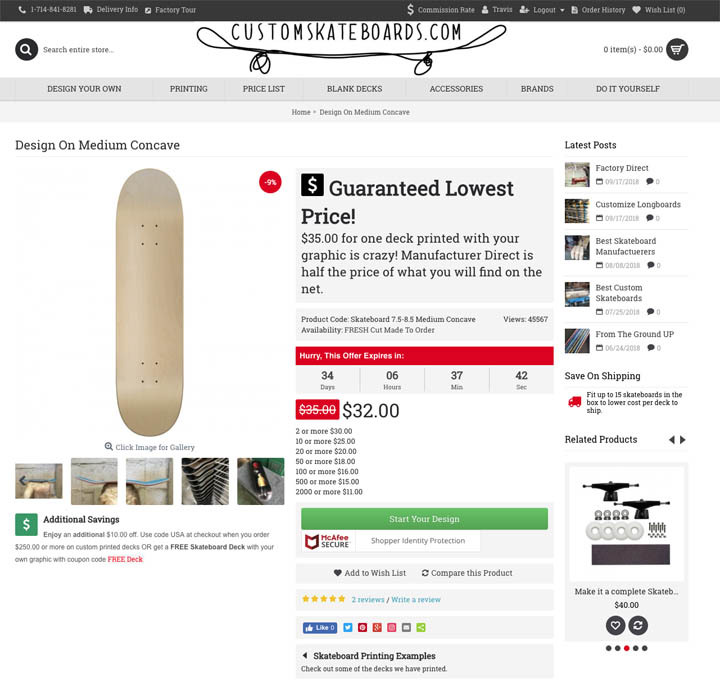 Combined with high tolerance equipment with lower labor cost than any other skateboard manufacturer was all done for you to save money while having an American Made Skateboard under your feet. While others are importing to make more money we are investing to save you money. We do it for the love of the sport and to giving back to the community makes us feel good with each and every skateboard we make. This sale will be an ongoing event alternating products till the end of this year. With well over 20 years as a custom skateboard manufacturer the ability to lower the cost with automation has been our goal from day one. Investing in you has become our number one goal along with keeping the quality at the highest standard in the market.